Baggers were really for people at the the opposite socioeconomic end of the BMW crowd, but any niche that can support its own publications cannot be ignored. Harley-Davidson’s Street Glide isn’t just a bagger, it’s also possibly the biggest selling big bike in America. Hence the K1600B. 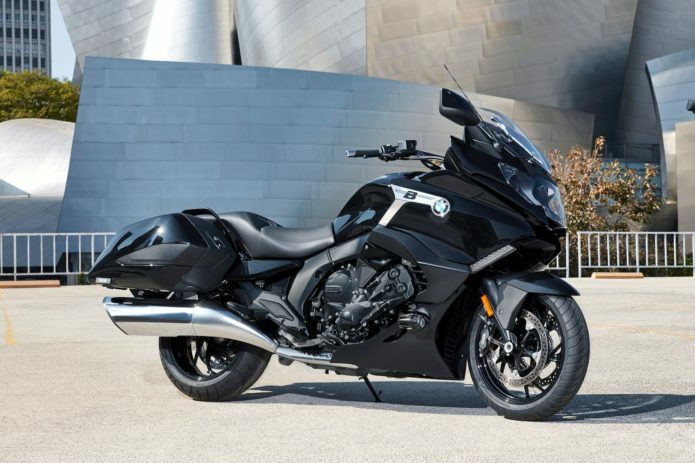 BMW never uses the word “bagger,” but I think one look is all we need to know what the B stands for here. Roland Sands helped build the Concept 101 a couple years ago to float the idea. Now, we ride the finished product.